Companies who support eco-friendly products will be blown-away by these innovative bottle holders. Not only are they environmentally friendly, but they are also useful and functional and offer a great marketing opportunity. The bottle holder is a small cup shape and offers a one size fits all design that will accommodate plastic, bottles, glass bottles, cans, paper cups and other drinking receptacles. Get rid of those paper napkins and coasters. These holders absorb condensation, protecting the table surface that the drink stands on without the need for paper napkins. Save our trees and our planet with these clever and trendy little holders. 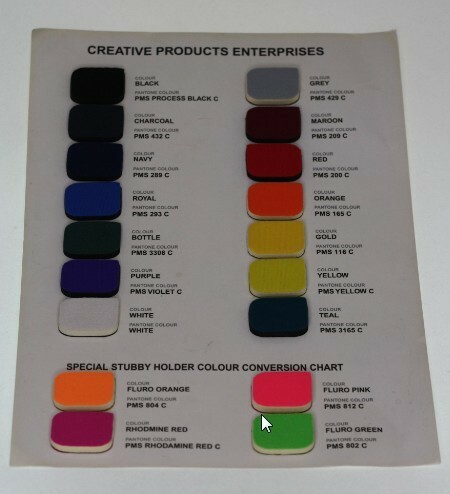 They are made from 2mm Neoprene and will grip any container placed into it. They are re-usable and wash off easily under a running tap. 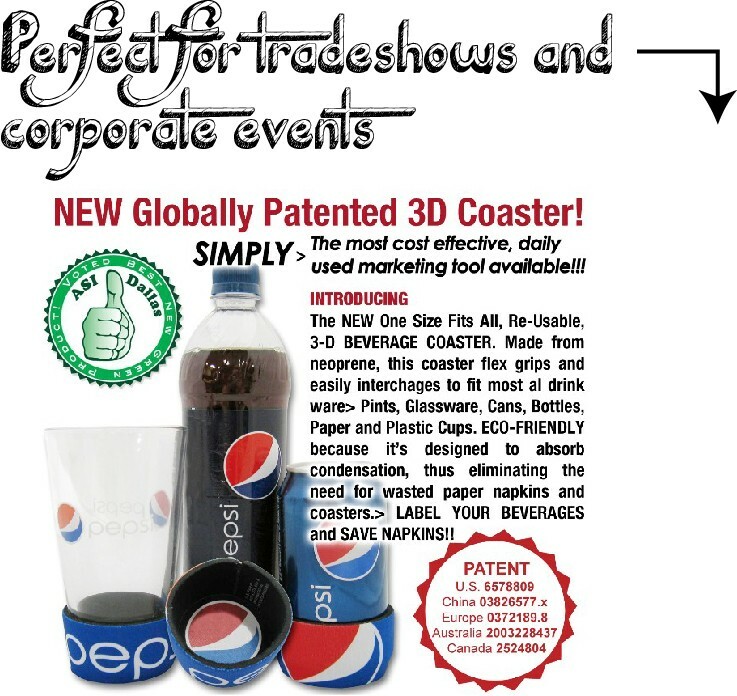 Advertise your business on a feel-good product. Our listed price includes the branding of your personalised company logo or graphic in a full colour print onto the coolers. 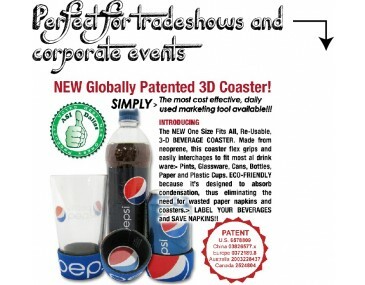 Hand them out at your corporate functions, shows and expos. We offer a speedy turnaround time of 2 weeks from approval of artwork. If your order is very urgent, talk to us about our even faster turnaround times. 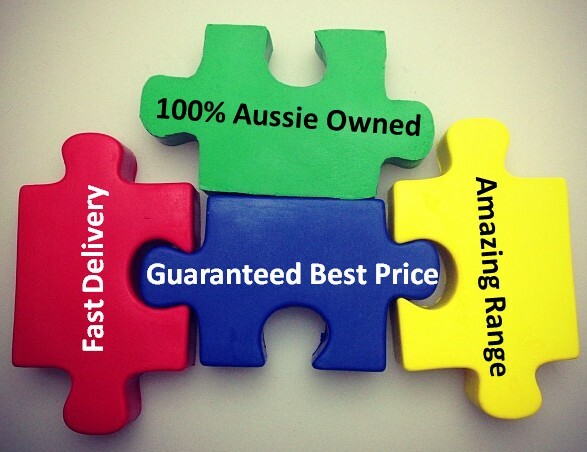 This product is supplied in bulk quantities and is available for delivery in Australia only. This product stocked and branded in Australia. Bulk orders for this product come packaged in a 57cm(L) x 39cm(W) x 57cm(H) sized carton.